This print marks the beginning of a new series of compositions intended mainly to excoriate the ignorance of the common people, the vices of monks and the stupidity of the great. The superstitious beliefs still widespread among the people at that time, and encouraged by monks, furnished Goya with considerable subject matter. 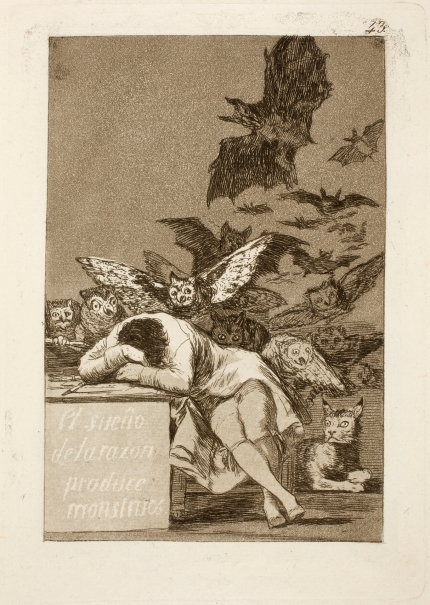 The present print reflects the world of nightmares: Goya does not convert reason into truth, and he refrains from judging the monsters. He simply shows them, presenting the world of the night that characterizes all of the Caprichos: a reversal of the day. Author Alcalá Flecha (1988: 444-453) offers three interpretations of this image. The first emphasizes the artist’s firm belief in the capacity of reason to ward off darkness and obscurantism, revealing the Enlightenment’s confidence in the unfading power of reason to banish human errors and vices, repelling the darkness of ignorance and error and extending and propagating the light of truth. The second views it as the expression of an esthetic principle rooted in neoclassical art criticism, which considered reason and fantasy antithetical principles that an artist had to know how to combine. In other words, the artist had to use reason to moderate excessive fantasy, which would produce only impossible monsters in its absence. Finally, the third interpretation reads it as a display of bitterness in the face of the irremediable failure of reason at a time when the Enlightenment had elevated it to such heights. In the battle between light and shadow, the latter has won; the world ordered by reason has succumbed and is now inhabited by animals that are the demonic lords of shadows. 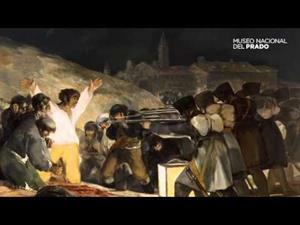 The year 1799 was a turning point in Francisco de Goya’s life and work. 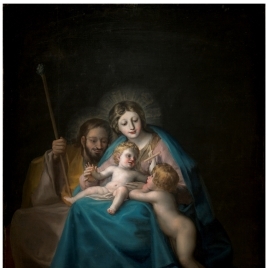 Besides being appointed first chamber painter, enjoying growing prestige as a portraitist and inaugurating the hermitage of San Antonio de la Florida, which he had decorated; on February 6, the Diario de Madrid announced the sale of the eighty prints that make up his Caprichos series. 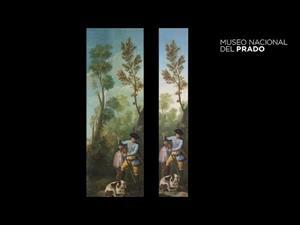 This marked the culmination of an intense period in the painter’s life, which had begun in 1792 when illness led to convalescence at Sebastián Martínez’s home in Cadiz. There, he was able to see English satirical prints that would later influence his work. After returning to Madrid, he cultivated the friendship of Leandro Fernández de Moratín, with whom he exchanged ideas that later emerged in his Caprichos. 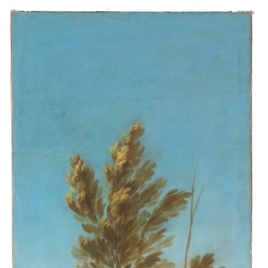 The first drawing from the series now known as Los Sueños dates from 1797. These works constitute the visual and conceptual basis for his Caprichos, including its forms, ideas and principle subject matter. 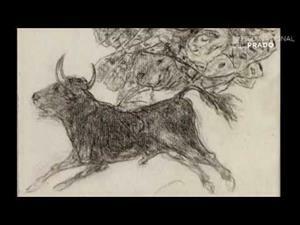 During those years, Goya began drawing in albums, where he captured image from everyday life and worked out invented compositions in which he satirically addressed aspects of his time. This activity led to the Álbum de Sanlúcar and the Álbum de Madrid, both of which contain images that are the origin of some of the prints in the later Caprichos. As the advertisement in the Diario de Madrid mentions, the Caprichos are primarily a satire designed to combat human vice and the absurdities of human behavior. Simplifying, we can group the prints from this series around four major subjects, all unquestionably critical in tone. The first addresses deception in relations between men and women: courtship as a customary practice in which modern men busy with their various occupations allowed their wives to go about their lives in company of handsome young men; the prostitution that denigrated and exploited the condition of both sexes; and unequal marriages or marriages of convenience that were a customary practice in Goya’s time and were criticized by the Enlightenment. The second satirizes poor education and ignorance, reflecting the Enlightenment’s concern about those matters. In the Caprichos, Goya depicts the consequences of improperly educating children, false believes and superstitions resulting from ignorance, and witchcraft as the supreme manifestation of superstition or insufficient education. The third subject consists of a condemnation of vices rooted in society, and especially among the clergy: vanity, gluttony, sloth, lechery and avarice are caustically portrayed. Finally, a fourth group of prints contains the artist’s protest against the abuse of power: the Inquisition, the arrogance of the ruling class, the exploitation of the people and the injustice of the legal system. From the very start, the Caprichos were often interpreted as biting criticism of that period’s society, sometimes in general, but others, directed at specific institutions or figures, including Godoy and the monarchs. Period interpretations appear in handwritten commentaries on the prints, including those on the series at the Museo del Prado. This series was closest to Goya’s own opinions, as it had belonged to his friend, Agustín Ceán Bermúdez. From then until now, the Caprichos have been subject to the most varied interpretations, which proves the ongoing interest of this series whose reflection of humanity’s extravagances and errors retains all its relevance two-hundred years after its creation (Text drawn from Matilla, J. M.: "Caprichos", Goya en tiempos de guerra, Madrid, Museo del Prado, 2008, pp. 170-171, n. 21). Height: 306 mm. ; Width: 201 mm. ; Height of the plate mark: 213 mm. ; Width of the plate mark: 151 mm. Bequest of Plácido Arango Arias, 1991. Piot, E., Catalogue raisonné de l’oeuvre gravé de Francisco Goya y Lucientes, Cabinet de l’amateur et de l’antiquaire. Revue des tableaux et des estampes anciennes; des objets d’art, d’antiquitè et de curiosité, I, 1842, pp. 351. Brunet, M.G., Étude sur Francisco Goya. Sa vie et ses travaux. Notice biographique et artistique accompagnée de photographies d’aprés les compositions de ce maitre, Aubry, libraire-éditeur, París, 1865, pp. 38. Lefort, P., Essai d’un catalogue raisonné de l’oeuvre gravé et lithographié de Francisco de Goya. Première Partie. Pièces publiées en séries. Les Caprices. Nos 1 a 80, Gazette des beaux-arts, IX, 22, 1867, pp. 386. Yriarte, C., Goya: sa biographie, les fresques, les toiles, les tapisser, les eaux-fortes et le catalogue de l´oeuvre, Henri Plon, París, 1867, pp. 110-111. Beruete y Moret, A., Goya grabador, III, Blass y Cía, Madrid, 1918, pp. 49-50. Adhemar, J., Goya: exposition de l’oeuvre gravé de peintures, de tapisseries et de cent dix dessins du Musée du Prado, Bibliotheques Nationales, París, 1935, pp. 11. Levitine, G., Some Emblematic Sources of Goya, Journal of the Warburg and Courtauld Institutes., XXII, 1-2, 1940, pp. 114-131. Hofer, P., Some undescribed states of Goya’s Caprichos, Gazette des Beaux-Arts, 28, 943, 1945, pp. 174-175. Klingender, F.D., Goya in the Democratic Tradition, Sidgwick and Jackson Limited, Londres, 1948, pp. 92-93. Sánchez Cantón, F.J., Los Caprichos de Goya y sus dibujos preparatorios, Instituto Amatller de Arte Hispánico, Barcelona, 1949, pp. 43,45 y 87. 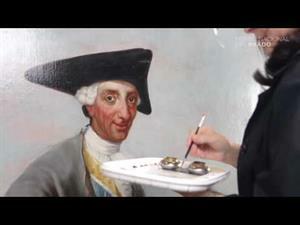 López-Rey, J., Goya’s Caprichos: Beauty, Reason and Caricature, Princeton University Press, Princeton, 1953, pp. 75-77, 80-81, 135-138. Levitine, G., Literary Sources of Goya’s Capricho 43, The Art Bulletin, XXXVII, 1, 1955, pp. 56-59. Harris, T., ''Catalogue Raisonné'', en Goya: Engravings and Lithographs, II, Bruno Cassirer, Oxford, 1964, pp. 115-116, n. 78. Ciofalo, J.J., Goya's Enlightenment Protagonist, a Quixotic Dreamer of Reason, Eighteenth Century Studies, 30,4, 1967, pp. 421-436. Delteil, Loys, Goya. Facs. 1922, Collectors EditionsDa Capo Press, 1969, pp. n. 80. Sayre, E., The Changing Image. Prints by Francisco Goya, Museum of Fine Arts, Boston, 1974, pp. 98-105, n. 70-76. 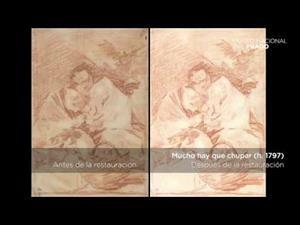 Gassier, P., Dibujos de Goya. Estudios para grabados y pinturas, Noguer, Barcelona, 1975, pp. n. 39, 100. Lafuente Ferrari, Enrique, Los Caprichos de Goya, Gustavo Gili, Barcelona, 1978, pp. 120. Yukiyama, K., Study of Goya's Caprichos I: on nº. 43 ‘El sueño de la razón produce monstruos, Annual Bulletin of The National Museum of Western Art, 12, 1978, pp. 50-78. Lafuente Ferrari, Enrique, El mundo de Goya en sus dibujos, Urbión, Madrid, 1979, pp. 7. Hofmann, W., Goya. Das Zeitalter der Revolutionen.1789-1830, Prestel Verlag; Hamburger Kunsthalle, München, 1980, pp. 52-61, n. 3. Lafuente Ferrari, Enrique, Goya: dibujos, Silex, Madrid, 1980, pp. n. 26. López Vázquez, J. M. B., Los Caprichos de Goya y su interpretación, Universidad de Santiago de Compostela, Santiago De Compostela, 1982, pp. 167-176. Downling, J., The Crisis of the Spanish Enlightenment: Capricho 43 and Goya´s Second Portrait of Jovellanos, Eighteenth Century Studies, 18, 3, 1985, pp. 331-359. 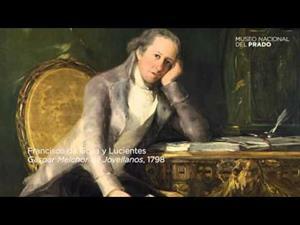 Lafuente Ferrari, Enrique, “La situación y la estela del arte de Goya” ,en Antecedentes, coincidencias e influencias del arte de Goya. 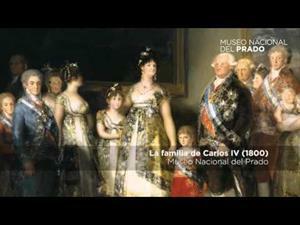 Catálogo ilustrado de la exposición celebrada en 1932 ahora publicado con un estudio preliminar sobre la situación y la estela del arte de Goya, Sociedad Española de Amigos del Arte, Madrid, 1987, pp. 108, 128-129. 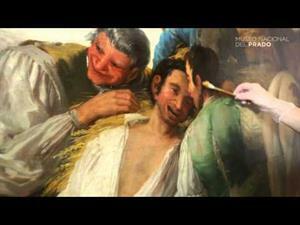 Goya: nuevas visiones : homenaje a Enrique Lafuente Ferrari, Amigos del Museo del Prado, Madrid, 1987, pp. 197-205. 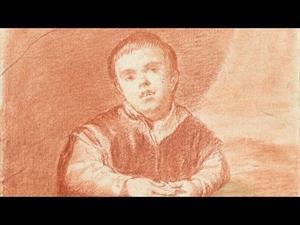 Sayre, E.A., “Frontispicio de la serie de los Sueños: primera versión”, “Frontispicio de la serie de los Sueños: segunda versión” y “El sueño de la razón produce monstruos”, en Goya y el espíritu de la Ilustración, Museo del Prado, Madrid, 1988, pp. 227-232, n. 50, 51,52. Alcalá Flecha, Roberto, Literatura e ideología en el arte de Goya, Diputación General de Aragón, Zaragoza, 1988, pp. 444-453. Nordström, F., Goya, Saturno y melancolía: estudios sobre el arte de Goya, Visor, Madrid, 1989, pp. 141-160, il. 62. Cela, C.J., Los Caprichos de Francisco de Goya, Sílex, Madrid, 1989, pp. 98-99. De Paz, Alfredo, Goya. Arte e Condizione Umana, Liguori Editore, Nápoles, 1990, pp. 214-224. Wilson-Bareau, J., Goya: la década de los Caprichos. Dibujos y aguafuertes, Real Academia de Bellas Artes de San Fernando, Madrid, 1992, pp. 9-13. Stoll, A., ''La illuminatio di Goya: simbologia della genesi estetica dei Caprichos'' en Goya, Daumier, Grosz: il trionfo dell'idiozia: pregiudizi, filie e banalitá dell'esistenza europpea, Mazzota, Milán, 1992, pp. 13-32. Bozal, V., ''Los Caprichos: el mundo de la noche'', en Francisco de Goya, grabador: instantáneas. Caprichos, Caser; Calcografía Nacional, Madrid, 1992, pp. 25, 26-28. Bozal, V., “Goya: imágenes de lo grotesco”, en Art and Literature in Spain: 1600-1800: Studies in Honour of Nigel Glendinning, Tamesis Books, Londres, 1993, pp. 51-52. 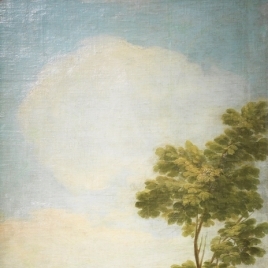 Goya: el capricho y la invención : cuadros de gabinete, boce, Museo del Prado, Madrid, 1993, pp. 57-61. Sayre, E.A., Goya's Caprichos: A Sampling of Witches, Goya: Neue Forschungen: das Internationale Symposium 1991 in Osnabrück, Berlín, 1994, pp. 67 y 70. Klein, P.K., La fantasía abandonada de la razón: zur Darstellung des Wahnsinns in Goyas Hof der Irren, Goya: Neue Forschungen: das Internationale Symposium 1991 in Osnabrück, Berlín, 1994, pp. 161-187. Stoll, A., Goya descubridor de Quevedo, o la modernidad estética de la risa luciférica, Romanticismo 5: actas del V Congreso (Nápoles, 1-3 de abril de 1993): La sonrisa romántica (sobre lo lúdico en el Romanticismo hispánico, Roma, 1995, pp. 264-270. Biblioteca NacionalEspaña), "Ydioma Universal": Goya en la Biblioteca Nacional, Biblioteca NacionalLunwerg, 1996, pp. 139-141. 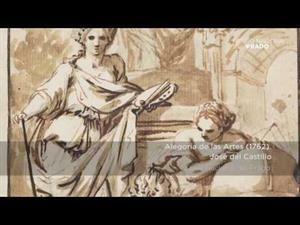 Vega, J., “El sueño dibujado”en Realidad y sueño en los viajes de Goya, I Jornadas de Arte en Fuendetodos, Zaragoza, 1996, pp. 50. 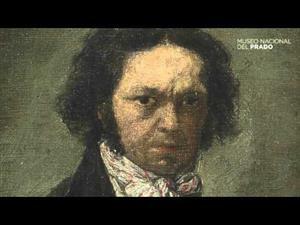 Serrera, J.M., “Goya, los Caprichos y el teatro de sombras chinescas”, en Caprichos de Francisco de Goya: una aproximación y tres estudios, Calcografía Nacional; Fundació Caixa de Catalunya; Fundación El Monte de Sevilla, Madrid, 1996, pp. 109. 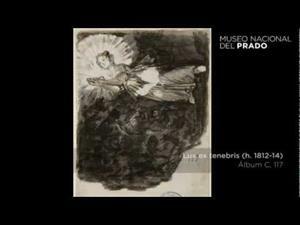 Glendinning, N., ''El arte satírico de los Caprichos; con una nueva síntesis de la historia de su estampación y divulgación'', en Caprichos de Francisco de Goya: una aproximación y tres estudios, Calcografía Nacional; Fundació Caixa de Catalunya; Fundación El Monte de Sevilla, Madrid, 1996, pp. 25. Klein, P.K., Insanity and the Sublime. Aesthetics and Theories of Mental Illness in Goya’s Yard with Lunatics and Related Works, Journal of the Warburg and Courtauld Institutes., 61, 1998, pp. 198-252. 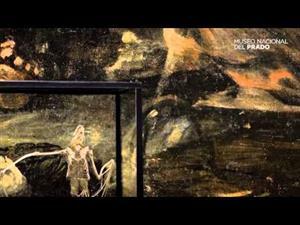 Rose de Viejo, I., “Goya / Rembrandt: la memoria visual”, en Rembrandt en la memoria de Goya y Picasso: obra gráfica, Fundación Carlos de Amberes, Madrid, 1999, pp. 76-77. Aisenberg, B., Atención, el artista sueña! 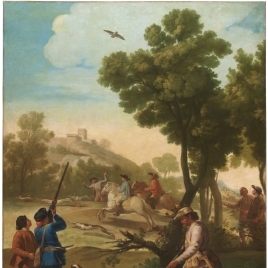 Ideología de la Ilustración y antimonárquica en las obras de un artista de Corte: Francisco Goya (1746-1828), Boletín del Museo e Instituto Camón Aznar, LXXVIII-LXXIX, 1999, pp. 5-60 [9-11]. Blas, J.; Matilla, J. M.; Medrano, J. M., El Libro de los Caprichos: dos siglos de interpretaciones 1799-1999. Catálogo de los dibujos, pruebas de estado, láminas de cobre y estampas de la primera edición, Museo Nacional de Prado, Madrid, 1999, pp. 238-245. Blas, J; Andioc, R; Centellas, R., Mirar y leer. 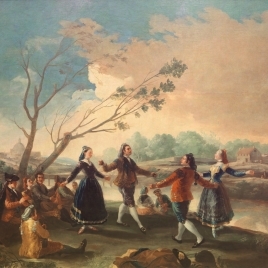 Los Caprichos de Goya, Diputacion Provincial de Madrid ; Calcografía Nacional; Pontevedra: Museo de Pontevedra, Zaragoza, 1999, pp. 154-155. 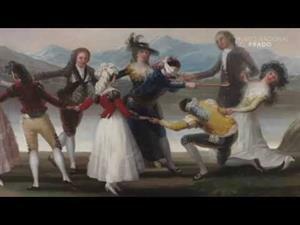 Stoichita, V.I; Coderch, A.M., El último carnaval: un ensayo sobre Goya, Siruela, 2000, pp. 181-199. 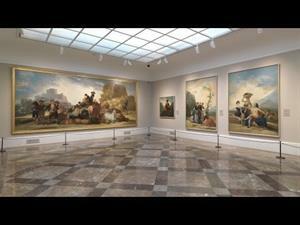 Licht, F., Goya. Tradicion y Modernidad, Ed.Encuentro, Madrid, 2001, pp. 142-145. Ciofalo, J.J., The Self-Portrait of Francisco Goya, Cambridge University Press, Cambridge, 2001, pp. 58-83. López Vázquez, J.M.B., Goya. Sueños y Caprichos. En: Goya y Dalí, Universidad Santiago de Compostela; Fundación Artes, Ribeira, 2004, pp. 15-29. Bozal, V., Francisco Goya: vida y obra, T.F., Madrid, 2005, pp. 231-236. Cirlot, L., “Comentarios a los Caprichos”, en Caprichos: Francisco de Goya. Estudios, Planeta; Universidad de Zaragoza, Barcelona, 2006, pp. 274-277. Mena Marqués, M. B., “María Teresa de Silva, duquesa de Alba, y Francisco de Goya, pintor. 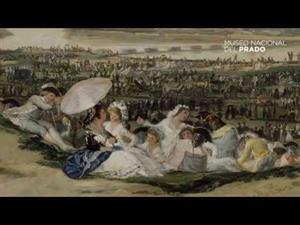 II, Los poetas y la duquesa”, en La duquesa de Alba, “musa” de Goya. 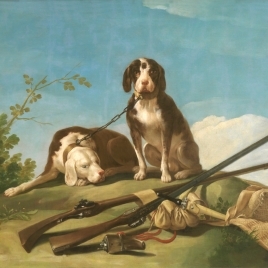 El mito y la historia,, Museo Nacional del Prado, Madrid, 2006, pp. 27-74, il.14. Jacobs, H.C., Der Schlaf der Vernunft. Goyas Capricho 43 in Bildkunst, literatur und musik, Schwabe, Basilea, 2006. Mangiante, P. E., “Fuentes italianas de la gráfica goyesca”, en Goya e Italia, Diputación Provincial de Zaragoza, Zaragoza, 2008, pp. 294-296, il.398. André-Deconchat, S; Assante di Panzillo, M ; Wilson-Bareau, J., ''Catalogue'' , en Goya graveur, Nicolas Chaudun y Paris musées, París, 2008, pp. 208, n. 60. Földényi, F. L, Goya y el abismo del alma, Galaxia Gutenberg: Circulo de Lectores, Barcelona, 2008, pp. 209-210, il.65. Földényi, F. L., Goya y el abismo del alma, Galaxia Gutenberg: Circulo de Lectores, Barcelona, 2008, pp. 209-210, il.65. Prada Pareja, J., Goya y las pinturas negras desde la Psicología de Jung, Editores Asociados para la Divulgación Literaria, Madrid, 2008, pp. 138-139. 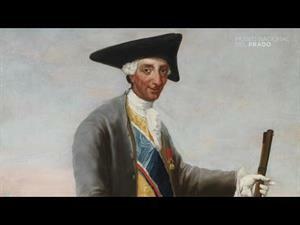 Jacobs, H.C., Los monstruos del sueño de la razón: el mundo visionario de Goya”, en J. Sureda (ed. lit. ), Goya e Italia, 2, Fundación Goya en Aragón y Turner, Zaragoza, 2008, pp. 171-175. Mena, M., Capricho 43. El sueño de la razón”, en J. M. Matilla, M. B. Mena Marqués y H. Murakami (dir. 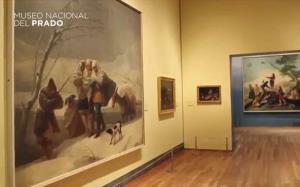 ), Goya: Luces y Sombras. Obras Maestras del Museo del Prado, The National Museum of Western Art, Tokio: The Yomiuri Shimbun, Tokio, 2011, pp. 74, n.4. 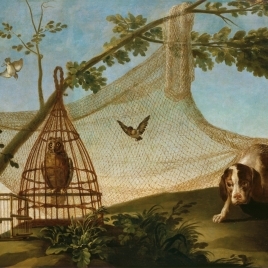 Jacobs, H. C., El sueño de la razón. 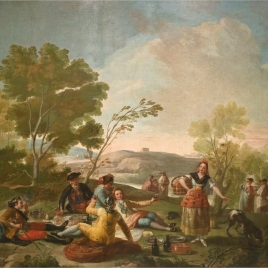 El Capricho 43 de Goya en el arte visual, la literatura y la música, Iberoamericana-Vervuert, Madrid, 2011. 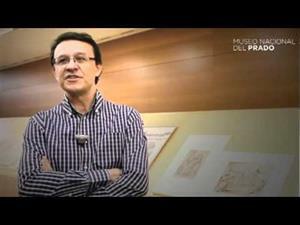 Araujo Sanchez, C., Goya, La España Moderna, Madrid, pp. 135. 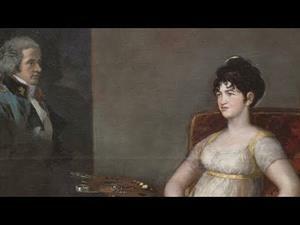 Catálogo Goya, Pierre Gassier y Juliet Wilson. Núm. 536.